When I saw this today at Little Black Marks I knew that I had to share it for my Library Loot post this week! I certainly know that if my library isn't available for any reason I go through withdrawals! 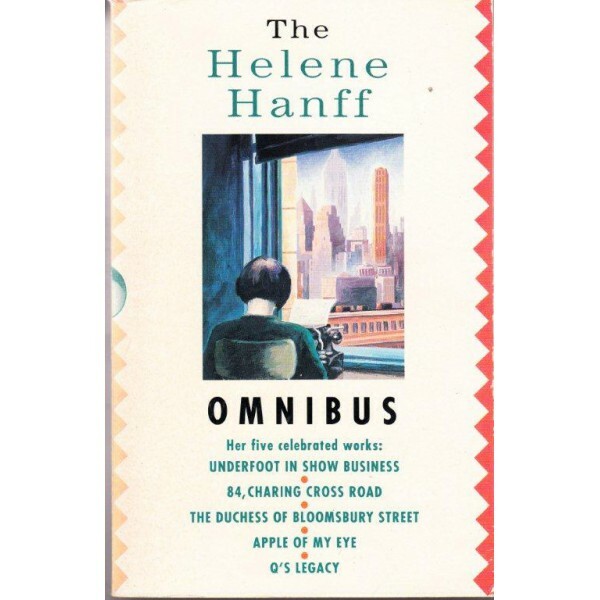 Helene Hanff Omnibus - I read 84 Charing Cross Road a few weeks ago and I wanted to read the follow up book, Duchess of Bloomsbury which is contained in this omnibus. Might as well read the other sections of the book too! Legacy by Susan Kay - I am a bit Tudored out but I have repeatedly been told that if you are only going to read one Tudor novel then this should be the one. 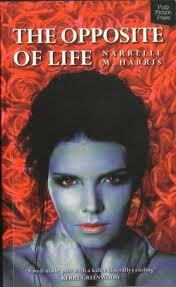 The Opposite of Life by Narrelle M Harris - There was a short story in Showtime which I read a few weeks ago that is connected to this book. Between the Duke and the Deep Blue Sea by Sophia Nash - This is a new to me author. 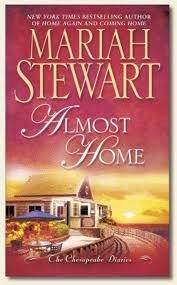 I tend to be sticking to authors I know and trust in romance, but every now and again I am induced to think about trying a new one. The Gods of Gotham by Lindsay Faye - This is an Amy Einhorn imprint book. I have liked all of the books I have read so far from that imprint, and this one in particular sounds like something I would enjoy. It's a mystery set in New York in the 1800s - from memory at the outset of the New York police force. 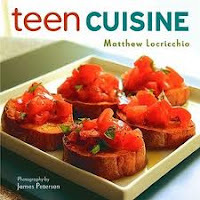 Teen Cuisine by Matthew Locricchio - This one was mentioned during Weekend Cooking a few weeks ago and I thought it might be something that the little chef might be interested in exploring. 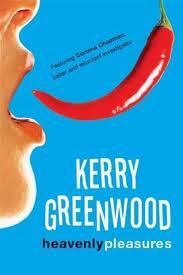 Heavenly Pleasures by Kerry Greenwood - The next Corinna Chapman book. What loot did you pick up from the library this week? Share you link in Mr Linky below so we can all come and take a look! I have heard lots of good things about it too Sam! Looking forward to reading it. The only thing I've read by Hanff is 84, Charing Cross Road but I loved it and do look forward to reading more of her work eventually, especially after having heard such wonderful things about Q's Legacy. I hope you enjoy the omnibus! 84 Charing Cross is the only thing I have read so far too, but I loved it, so I am looking forward to reading more. I've seen The Gods of Gotham around the blogs. Sounds interesting. Enjoy! Everything I have heard about it makes me think that it is something that I will really enjoy! The Gods of Gotham was an incredible book! I loved it and can't wait to hear what you think of it. Such a great blend of historical fiction and mystery. Great looking stack there today! Yay! glad you enjoyed Gods of Gotham. 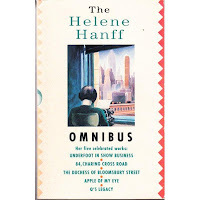 I have read several of Helene Hanff's books & actually have this book. Apple of my Eye is a great book with a very descriptive & now historical description of The World Trade Centre. Enjoy! The only ones I have heard much about are Duchess of Bloomsbury and the one about Q. Will be interesting to see more from her. I borrowed the cartoon off another blog - it's so true! Must admit I have missed my library over the last 8 weeks - having a broken ankle makes it not only a lot harder to get there, but impossible to carry the books out! I can't imagine not being able to get to and from the library Kylie! Hope you are on the mend now. I just got one of Helene Hanff's books from Paperback Swap. Not sure which one. Loved 84 Charing Cross Road! The others are all unfamiliar to me. Hope your little chef has fun with the cookbook! My son would probably love cooking if he'd give it a chance, since he loves to eat, but he's as impatient in the kitchen as I am. Darn. Happy Reading! I am not sure that the little chef hasn't gone off cooking a little bit since we acquired an Xbox, but hopefully he will be interested enough still to at least take a look. Like the look of the omnibus! I am a complete sucker for any omnibus! It was actually a bit of a surprise to get the omnibus. I thought I had only requested Duchess of Bloomsbury via interlibrary loan but seeing as it has several stories in it I might as well read them! You are welcome. I was definitely interested enough after reading the follow up story in Showtime. I'm just getting back into book blogging, I'm so glad to see that you guys are still doing Library Loot! Thanks for the inspiration. I'm looking forward to checking out what everyone is reading every week.